Below are frequently asked questions for those interested in the Pacific Desk. Please take note that there are different answers for some questions depending on the location of the Pacific Desk (Guam/Hawaii). How are Pacific Desk participants selected? The admission screening will consist of representatives from the Pacific Desk. 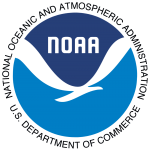 The final selection team will comprise of representatives from the Pacific Desk, NOAA / NWS and other partnering organizations. The team will strive to create a cohort that appropriately represents the governments, technical areas, gender and ethnicity. You will be notified of your admission status no later than June 30, 2014. To apply to the Pacific International Training Desk, please visit our How to Apply page where all pertinent information is displayed. Must be officially nominated and approved by their home meteorological organization/office. Applicants will be expected to have a fluent level of English. Limited (one year or less) experience in weather forecasting. Written explanation may be provided for consideration for justification of any deviation from the above criteria. What is expected of each National Weather Service or Meteorological Office? Disseminate and distribute program information and application process. Encourage potential candidates to apply. Support candidates throughout their training time to ensure they successfully complete the program. Ensure that the absence of the nominee during his/her studies abroad will not have any adverse effects on his/her status, seniority, salary, pension and similar rights. What is the anticipated size of each cohort? Each cohort will have 2-4 participants.